Six Resources for Learning About the Science of Flight – TC Net-Works, Inc. Yesterday marked the 115th anniversary of the Wright Brothers’ first successful airplane flight. That reminded me that I have a bunch of interesting resources for learning about the development of and science of flight. 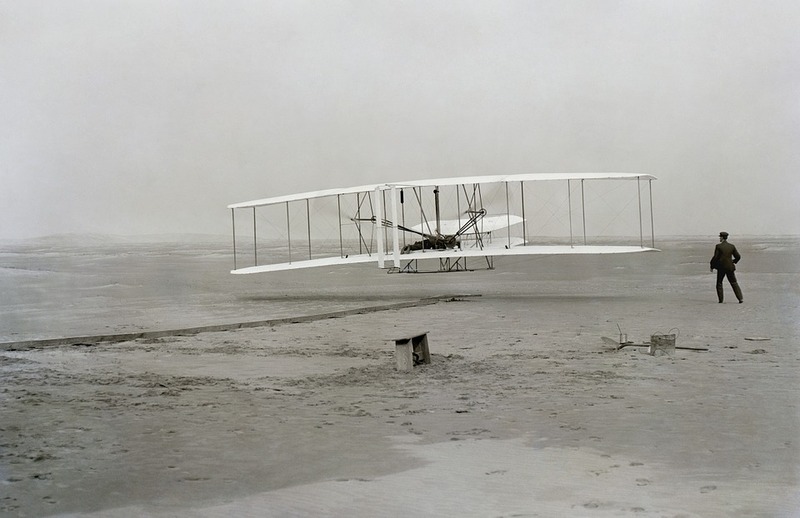 The Wright Brothers – The Invention of the Aerial Age is another good timeline for teaching about the developments made by the Wright Brothers. Dig into the Interactive Experiments section of the timeline and you’ll find Engineering the Wright Way. Engineering the Wright Way offers interactive simulations in which students learn about wing design by joining the Wright Brothers for test flights in Kitty Hawk, North Carolina. VR Hangar is a virtual reality app produced by the Smithsonian National Air and Space Museum. This free virtual reality app is available to use on Android phones and on iPhones. VR Hangar contains three virtual reality tours that feature landmark moments in aviation history. Those moments are the Wright Brothers’ first flight, Chuck Yeager’s record-breaking flight in the Bell X-1, and the Apollo 11 mission. Each of these tours incorporates artifacts from the Smithsonian National Air and Space Museum. The National Park Service’s timeline of the Wright brothers timeline is part of a larger timeline about inventions and innovation in the United States. After looking at the National Park Service’s timeline of the Wright brothers I looked for some more resources about the history of aviation. Scholastic offers a small set of activities for students to complete to learn about the Wright brothers, Amelia Earhart, and NASA missions. You can find plenty of videos about aviation on YouTube. This is one playlist that you might find appropriate for your lessons. The first video in the playlist is short and direct which is what makes it my first choice for classroom use.